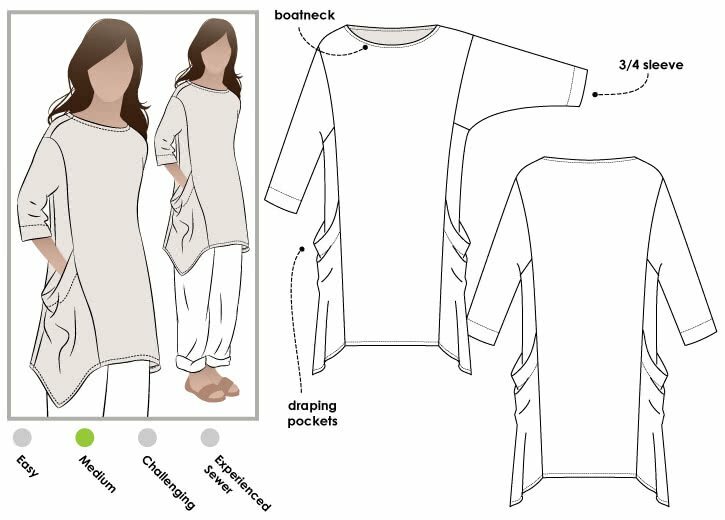 The side panel of this tunic top falls into a draped side pocket with the hem line dipping at the sides. The unusual square armhole is interesting and gives the ¾ length sleeve an interesting look. This tunic is great to wear over pants or leggings or make it in a light weight fabric as a summer cover-up.